One of our favorite things is to share stories from our partners which are inspiring. This time around, we have the privilege of featuring Leah Rohlf. Like many families who are in the process of adopting understand, adoption can be costly. Costs for adopting a child can be as high as $40,000, which can be a financial burden for most families. However, the desire to bring a child in need of a loving home can overcome any hurdle or challenge. Leah and her family were looking to think of creative ways to find the money needed for adopting a child. Yes, we tried very hard with raising money for the last 9 months to think outside of the box. Reading the book, “You Can Adopt Without Debt” introduced us to the shoe drive fundraiser idea and we loved it. And, those we came in contact with loved the idea as well. We, as Americans, have so much excess. The shoes will be repurposed and help someone create a living. We earn money for our adoption AND someone else can use shoes that would normally go to waste. It is a win, win, win, WIN! 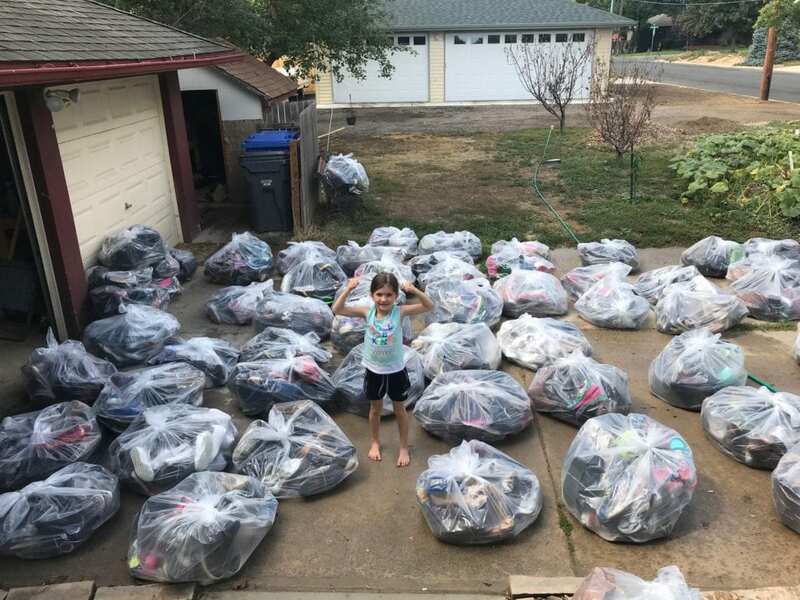 Most shoe drive fundraisers typically take about 60 days, but Leah and her family collected gently worn, used and new shoes for approximately nine months because they started gathering the footwear many months ahead of their scheduled shoe drive fundraising period, which was a smart move. They understood from the beginning that the more shoes they collected, the higher the amount of the check they would receive for their fundraiser. Leah and her family also knew that they had to get the word out about their special shoe drive fundraiser to adopt a child. So, they promoted their cause with friends and also talked about it in Facebook groups and even with a few businesses with whom they had relationships. Additionally, several friends who belonged to various churches set up collection bins in these religious places. In Leah’s own words, “We reached out and talked to everyone we knew.” By doing so, they were also able to get people who lived out of town to contribute if they were going to be in the area. In all, gently worn, used and new shoes came from about seven different states! There’s no need to ask friends or family for money or to sell merchandise. The fundraising formula is simple: More shoes = More money. 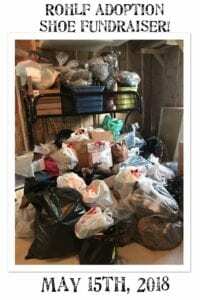 Many people have shoes they no longer want or need hiding in closets or around their home, and this can become valuable money for a good cause. 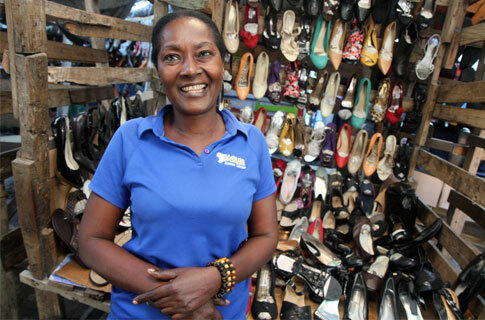 Families and micro-entrepreneurs in developing nations sell the shoes in their communities for commerce and employment opportunities, where few jobs pay a living wage. Instead of getting disposed of improperly, a shoe drive fundraiser is a socially responsible fundraiser because it re-purposes shoes by giving them a new lease on life in a developing country. Our team was energized in hearing Leah’s story and inspired. We wish Leah and her family best wishes in their adoption process.